Laaf Selling and Buying Queries? Recently we have been receiving an increasing number of queries about the value of Laaf ornaments. Whilst we’re happy to help identify a Laaf or help with other information about the figures, we simply cannot provide a value for them. They haven’t been made for a good few years now, so there’s no set value for them. Also, we’d hate to predict a price, and then for the seller to get nothing near that price! These little Laaf folk are basically worth whatever someone is willing to pay for them. Something else to consider is that Laaf folk come in many sizes, from thumb-sized Christmas tree ornaments to toilet roll holders that reach over 3ft! Of course, the size of the Laaf will often determine the price you will receive for it. 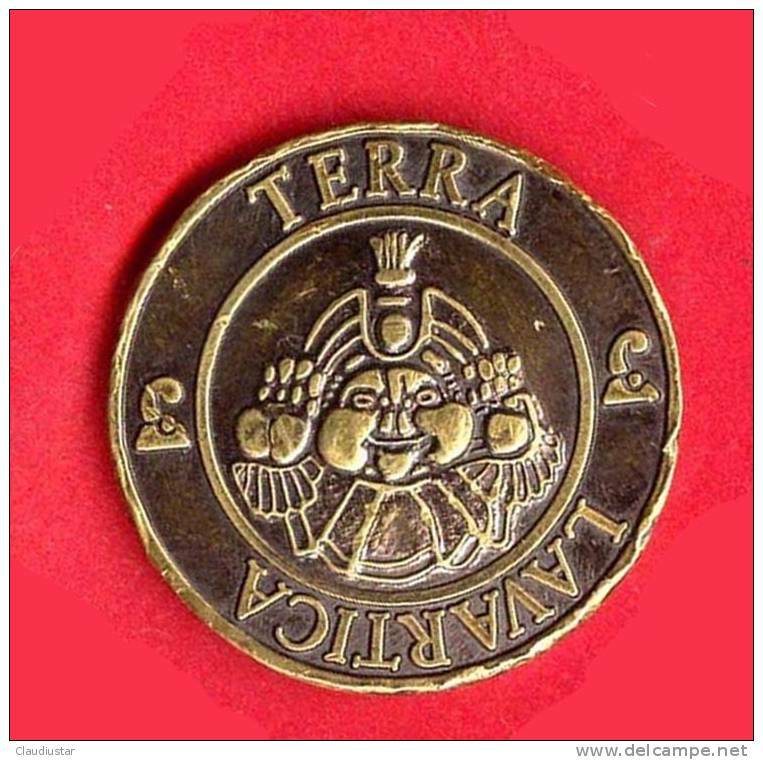 If your Laaf has its passport, its coin and a serial number on the bottom, you’re looking at a genuine Laaf which may bring more money than a one without those things. Having the original box is also a bonus. Please check completed listings on eBay if you’re considering selling your Laaf, as this will give you a rough idea of the price you may get for yours. If you still have a question that needs answered, please consider contacting Efteling from their website here. Remember, a Laaf is for life, not just for eBay! …Three mini Laafs arrived today. Thank you eBay! It is a shame that you can’t buy Laafs at Efteling anymore, but they are still out there! Looking to adopt a Laaf? 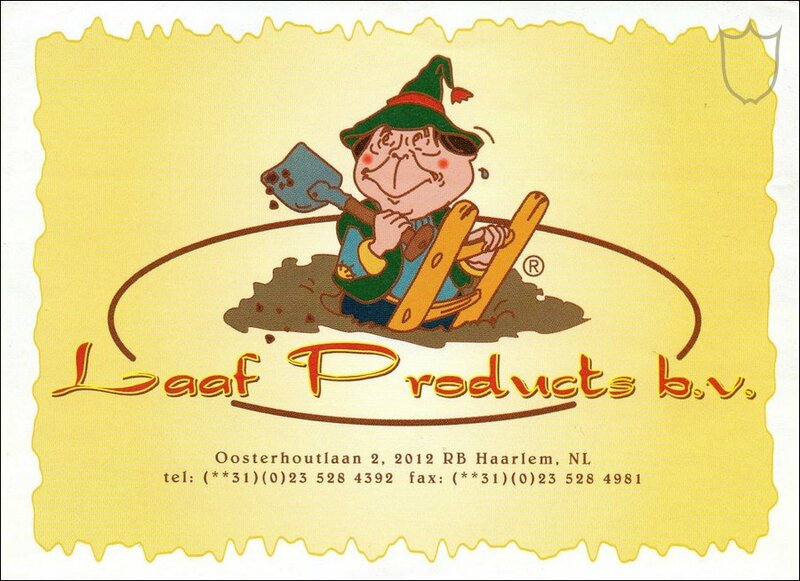 I get a lot of comments here on the site and also over at the Efteling UK Facebook page asking where Laafs can be purchased. The sad fact of the matter is, they are no longer in production, and haven’t been for quite a few years now. Unsure of what a ‘Laaf’ is? Click on the ‘People of Laaf’ page along the top of the screen. 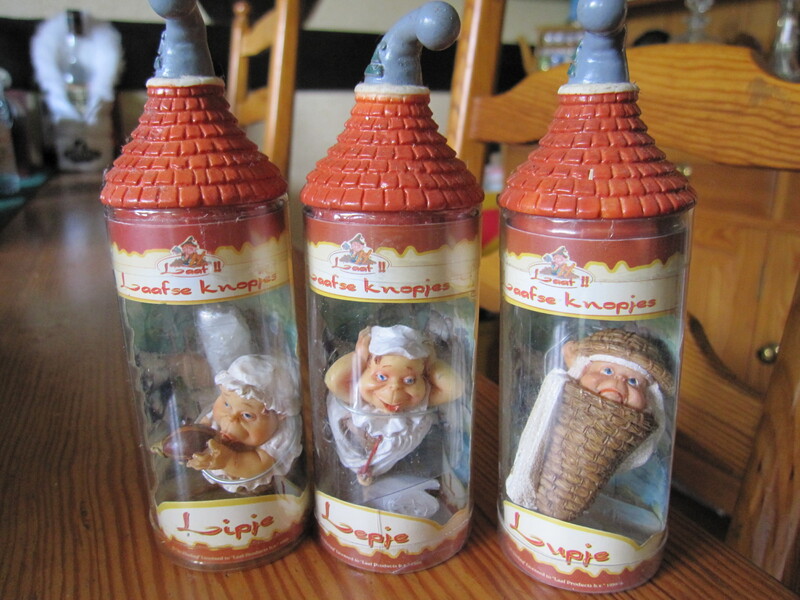 In short, a Laaf is a glorified garden gnome, however there are also household Laafs who, of course, live indoors. 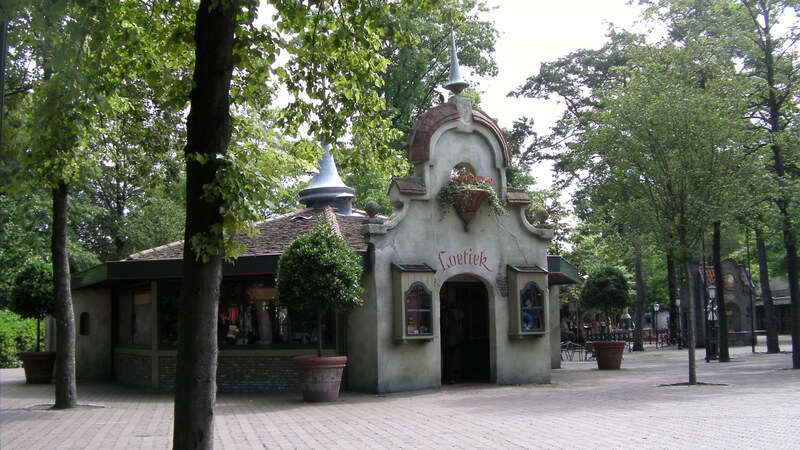 There is a Laaf village in Efteling where the Laafs reside. Laafs used to be available for adoption in the Loetiek outside the Laaf village, however, now there is not a single Laaf to be had! If you are looking for one, the best place to look is eBay or other online auction sites. Efteling UK HQ has adopted some this way and they all seem pretty happy in their new residence! You may also find the odd one lurking in your local garden centre, so keep your eyes peeled! 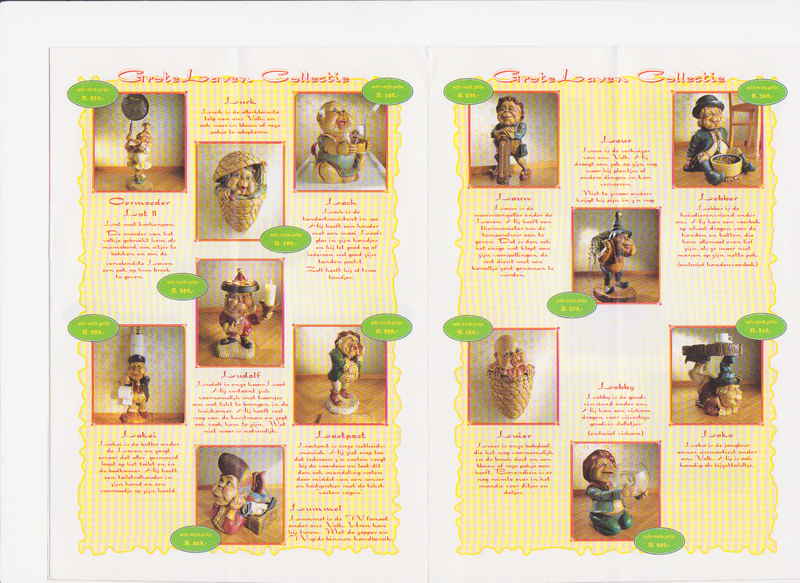 I have included a scan of one of the pages of an old Laaf leaflet, which show some house Laafs. There is even one to hold your toothbrush; how helpful!